Your face is always on display for others to see. You can’t hide it behind long sleeves or baggy jeans, and a hat won’t hide it away on a sleep-in Saturday. Many lucky San Diego residents who have received smile makeovers at Marcos Ortega DDS believe their dazzling new smile brightens their whole face. Some San Diego professionals have corrected tooth problems prior to beginning a search for new employment. A beautiful smile is essential to a polished appearance. Hillcrest cosmetic dentistry is not just for people in the public eye, it is for anyone who desires a youthful looking smile. Mission Hills, Mission Valley teeth whitening is quicker and more popular than ever. Some of our San Diego cosmetic dental clients invest in total teeth restoration because they have always been self-conscious about chips, gaps or crooked teeth. Cosmetic dental treatment may consist of dental bonding, dental implants, dental bridges, orthodontics, porcelain veneers, teeth whitening or a combination. If you are unfamiliar with the latest materials and procedures, see smile makeover expert Dr. Marcos Ortega for a cosmetic dental consultation. Some transformations are completed in just one visit! And don’t forego a new smile because you are afraid of dental treatment. 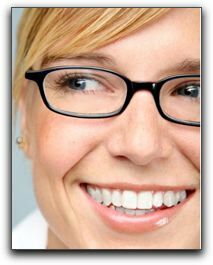 Nervous San Diego cosmetic dental clients can wake up to a new smile with oral conscious sedation. It is never too late to get a movie-star smile!